At just 10, DJ Big Jeff as he’s known today had already developed a keen relationship with the art form music, recalling his premature statement “Without music there is no life”. Drawn to the art of Djing at an early age; Jeff started manning the musical selection at family gatherings and house parties to get experience. It was at 15, when his older brother received a set of turntables that Jeff began secretly developing his own style. His passion turned serious when he was dared by his brother and peers to enter a DJ Contest being held at a neighborhood block party; he did and to their surprise he won the competition, amazing onlookers and neighbors in attendance. From there Jeff was on his way, honing his skills as a battle DJ while picking up such accolades as winning the Smirnoff DJ spin-off competition in New York and placing runner-up at an International DJ Competition in Aruba. Building momentum, he landed two regular DJing gigs: Thursday night’s at The Fever in the Bronx and downtown NY hot spot, Club Deco on Sunday nights. Soon after he began compiling and promoting mixtapes to gain exposure and credibility amongst popular DJs such as Kid Capri, DJ Clue, and Ron G, dominating the circuit. DJ Jeff got his first opportunity with The Music House, a store located on Dyckman Street in New York’s Washington Heights. He made his professional DJing debut in 1997, when he was called to go on tour with Lil Kim, doing shows in Philadelphia PA, Jacksonville FL, and Houston TX. He opened up in the Astor Arena, which has been his biggest show amongst 50,000 fans. One of his biggest achievements was to DJ at the World Famous Apollo Theatre for the Hip Hop Peace Fest. In 2001, he went on tour with rapper Queen Pen, opening up in Houston TX, Atlanta GA, North and South Carolina. 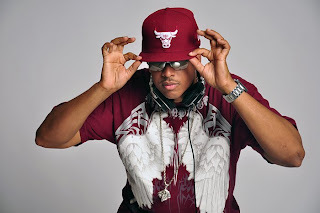 He has also worked in some of New York’s most popular and high-profile clubs such as X Bar, Club Aura, and Octagon and the 40/40 Club, where he is currently the resident DJ on Friday nights and streams live via his website, www.DJBigJeff.com. His most memorable show to date has been the Rap It Up Concert for BET in Washington D.C., which informs and raises awareness for HIV/AIDS testing as well as social issues, sexual behavior, and attitudes impacting today’s youth. For three years, he’s been the official DJ for Red Bull’s “Batalla De Los Gallos”, where along with Djing he’s provided beats as the soundtrack for this Latin MC contest; the only of its’ kind that requires MC’s to rap in Spanish over Hip-Hop beats. A solid track record and numerous appearances landed him in a position on the Roundtable Show Lenny S., Maya the B, and Big Lite as the official DJ, also with Maya the B’s new show on thisis50 radio. Always looking to outdo himself and peers, DJ Big Jeff has been steadily gracing the Sirius/XM airwaves with show appearances on Fatboy Radio with DJ SNS and DJ Dallas Green The FoxxHole filling in for DJ Mz. Stylez, spinning a fierce New Year’s Eve set on Hip Hop Nation Sirius 40 XM 67 and a re-occurring set on Shade45’s The Gomez Brothers’ show. Adding another accomplishment to his impressive resume, DJ Big Jeff has been officially added to the Fleet DJs coalition. He will take his talents abroad in every aspect, launching a seven day European Tour, gracing stages in Belgium, Paris, Holland and Switzerland to name a few. Once again the time has arrived for Jeff to take it to the next level. If he’s not spinning at the clubs he’s hitting the streets with Mix-Tapes! In light of his father’s passing, Big Jeff is motivated more than ever to embark on every opportunity presented, remain humble, and do right by his family. 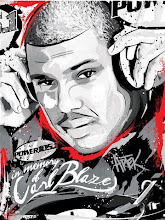 “This tragedy has strengthened my character and will only make me stronger; I now have my very own angel and I know he’s looking down on me smiling.” Rest assured DJ Big Jeff is on his grind!